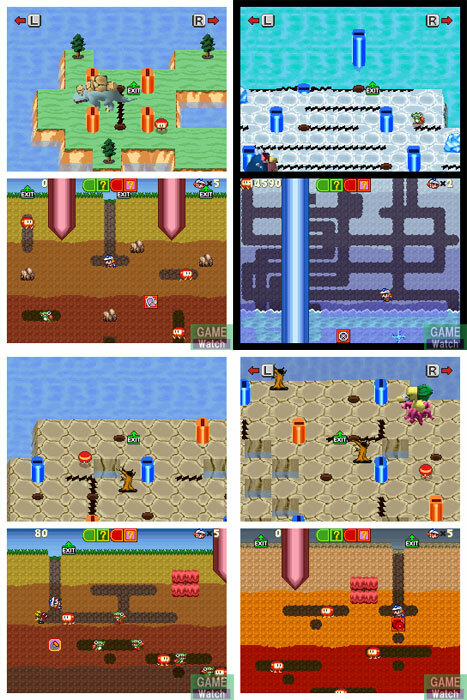 Players scrape through tunnels in order to eliminate the various critters hindering progress in this simple concept with pure gameplay. A fine game to go back to and very nicely preserved for future generations in this DS form. 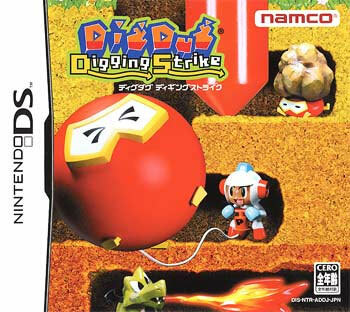 Being the DS it had the two screen option available to the developer and it makes great use of the dual display with players being able to roam around outside on the top screen before dropping underground to create fault lines, crate a landslip and bring down the bosses up top. Lovingly presented in a noveau Tezuka Osamu style anime. Available to reorder. Please email.